State #23 is North Carolina – I’m making my way to Ohio for a little grandma time! I stayed in South Carolina last night – heavy fog set in about 40 miles from the border, and I didn’t want to be driving in that at night. 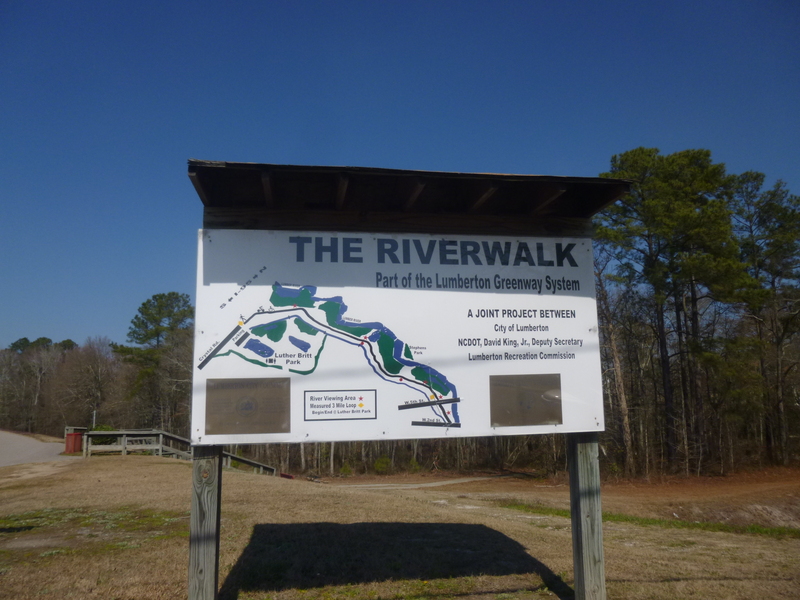 So once we crossed the border into North Carolina, I stopped in one of the first towns I came to – Lumberton. It was time to get out and stretch our legs. I walked about 1 1/2 miles in town, and it seemed like everything was brick – buildings, sidewalks…it was almost too much brickwork! And it was very quiet – almost a deserted sort of feeling, which was why I didn’t walk any longer there. 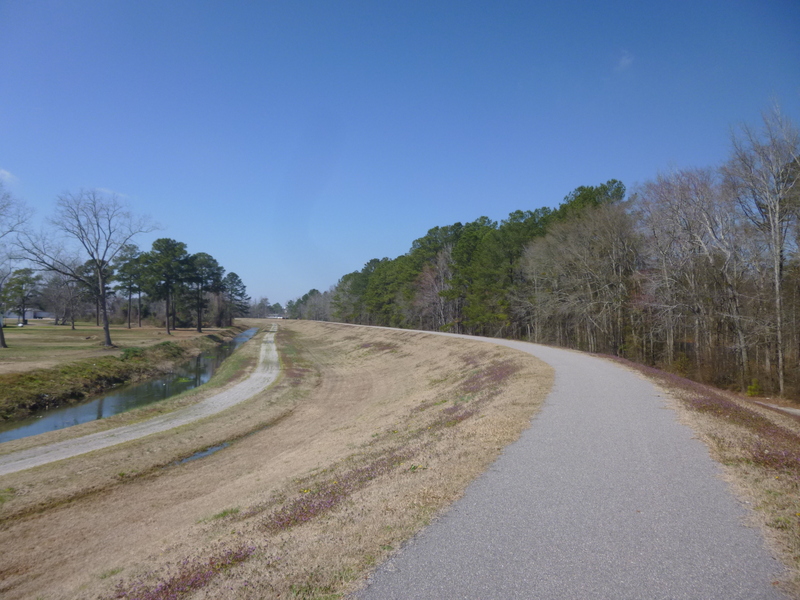 I found part of a rail trail just outside of town and that was much better – I got another 3 1/2 miles in. 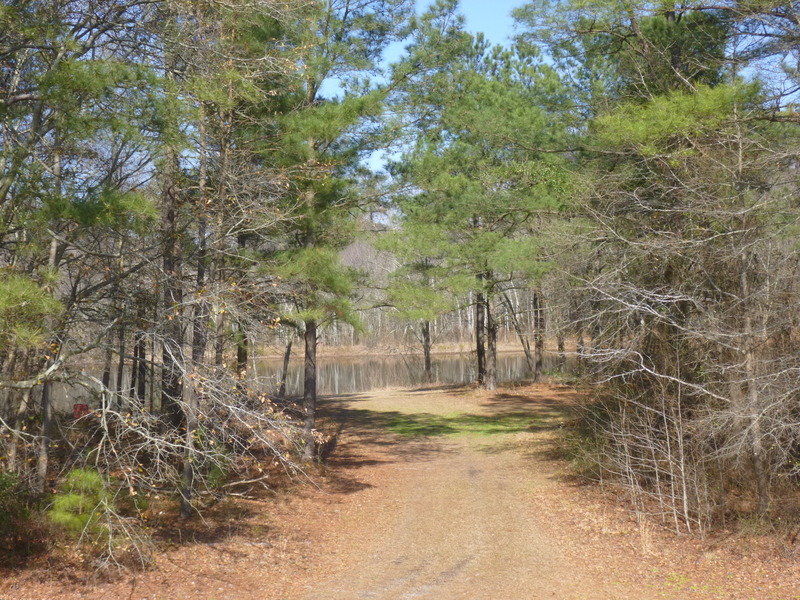 I was heading toward Wilmington, and stopped in the town of Whiteville on the way, which was a good town for walking, and I got another 3 1/2 miles in. I’m glad it’s staying light a little bit later each day – it makes a difference! No donation today – Sundays can be hard with many places closed, but I have 2 lined up for tomorrow!